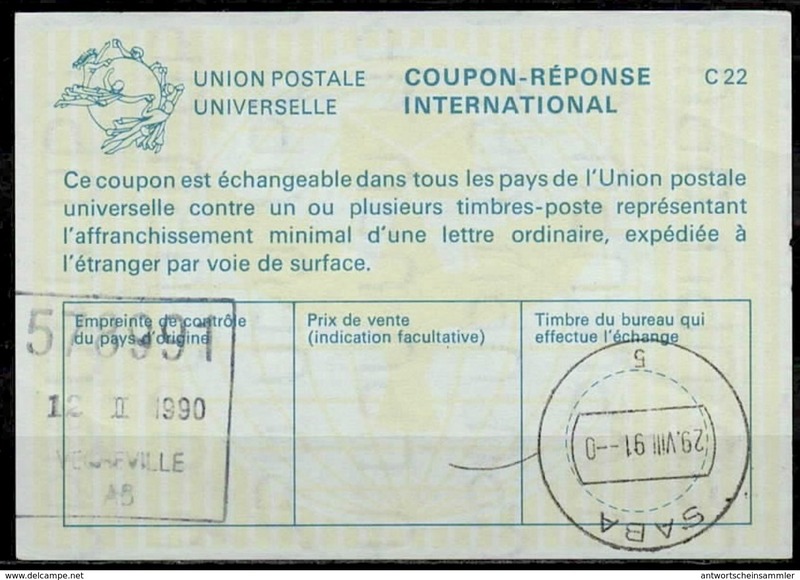 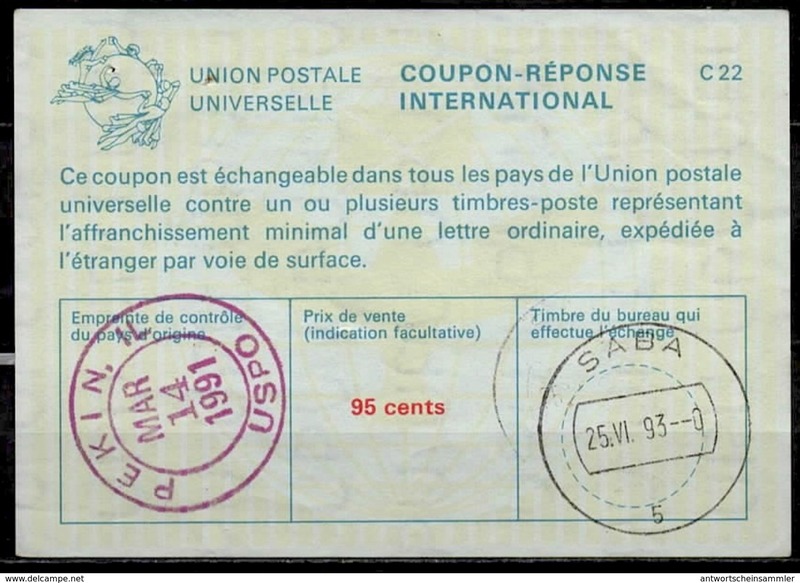 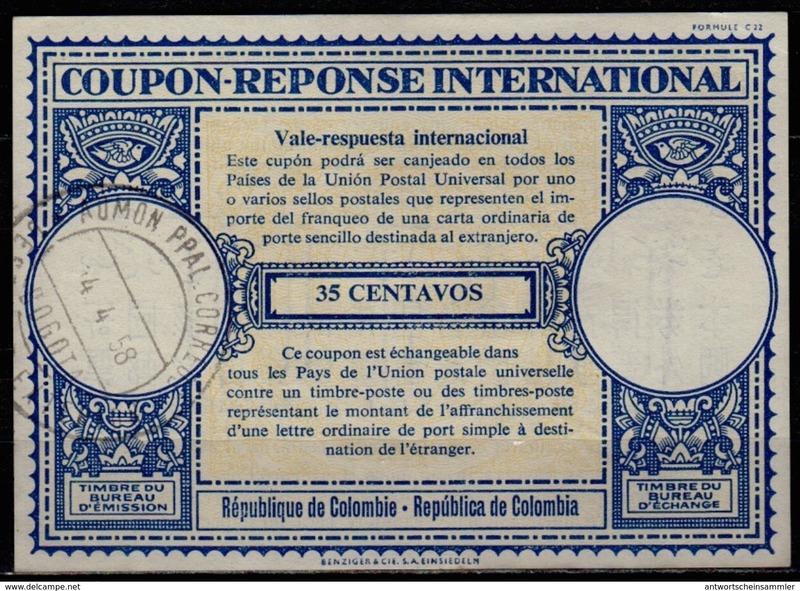 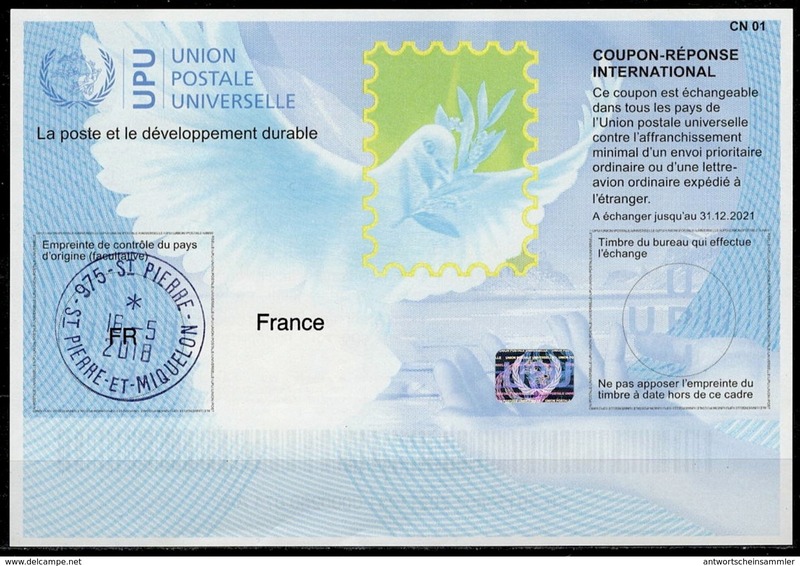 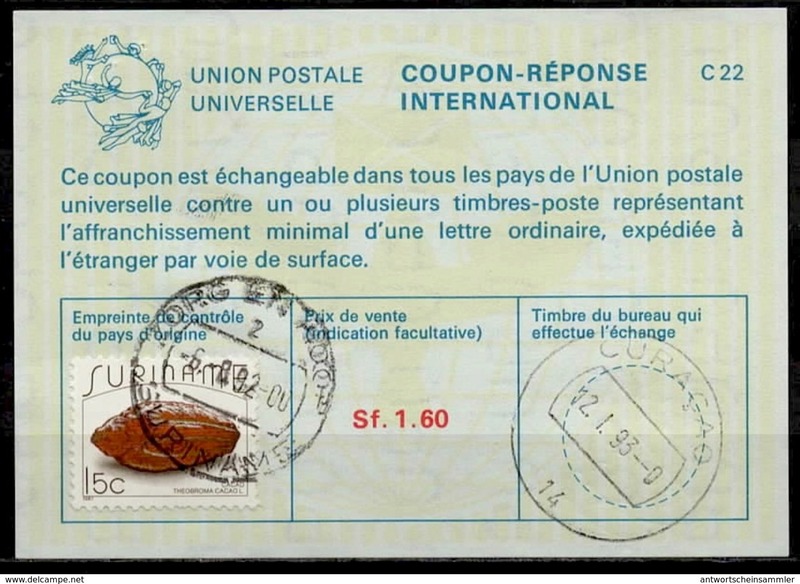 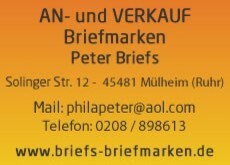 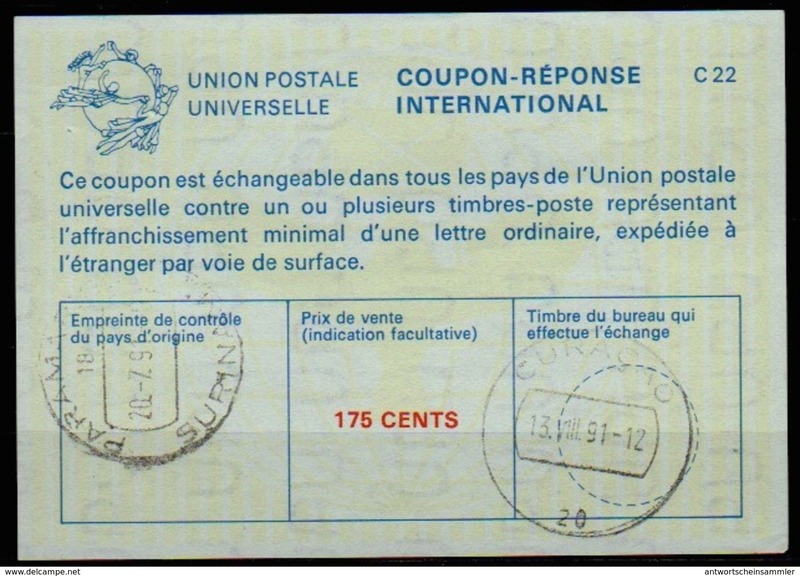 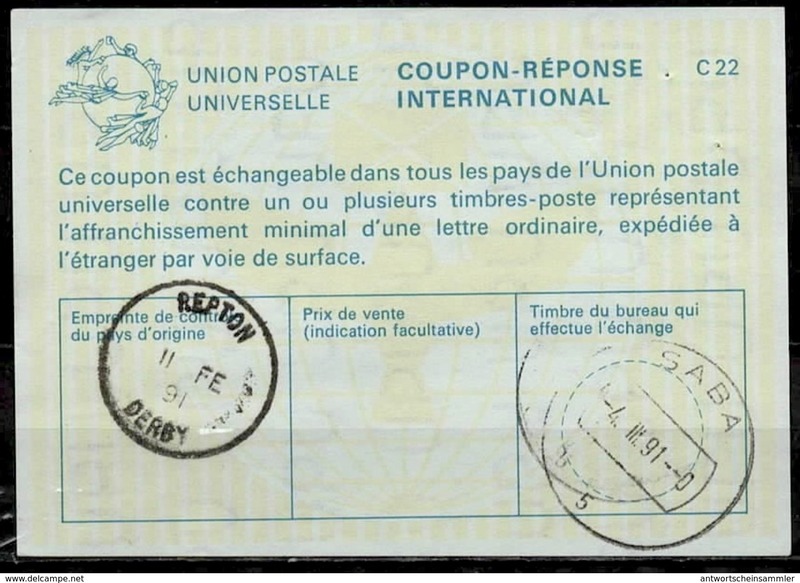 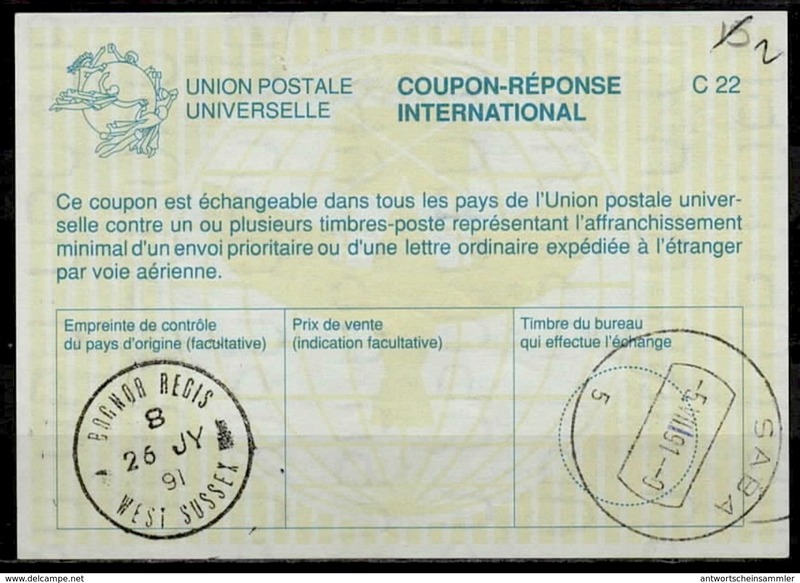 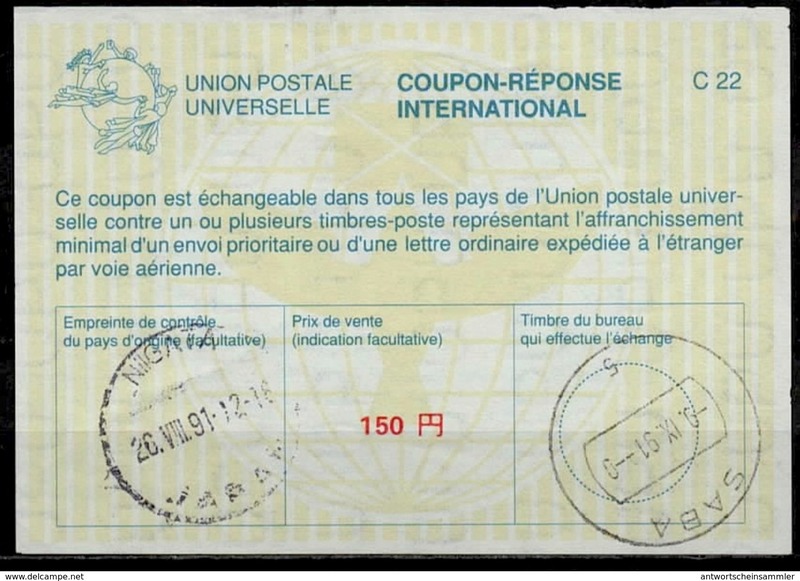 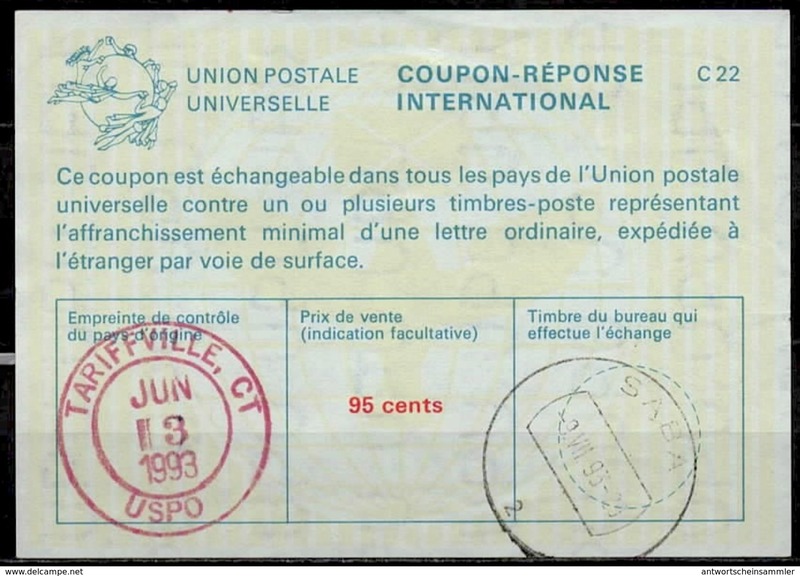 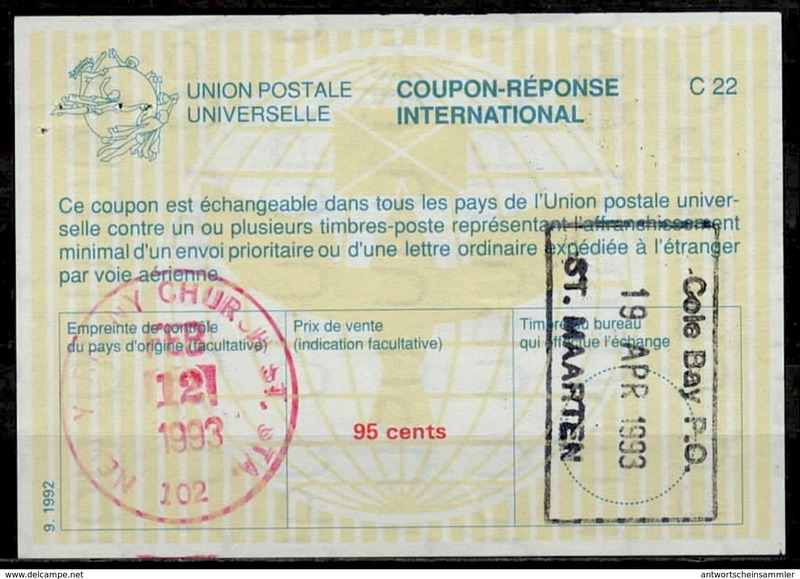 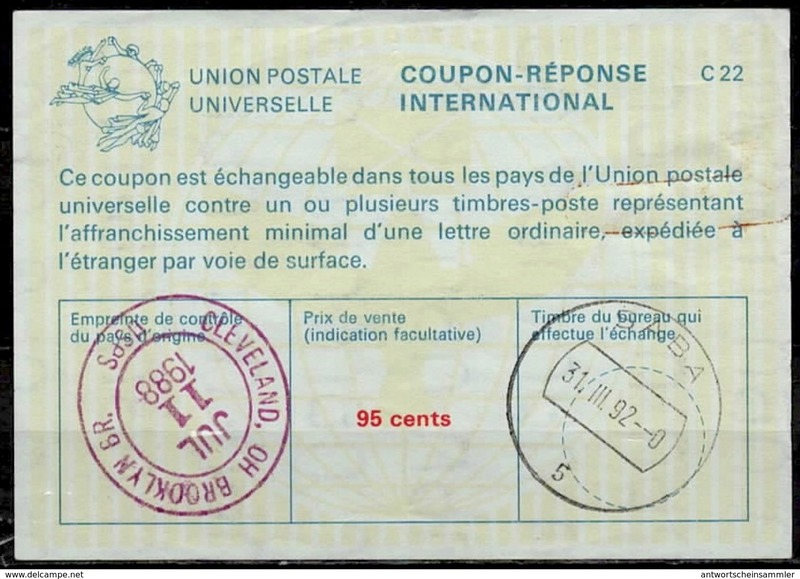 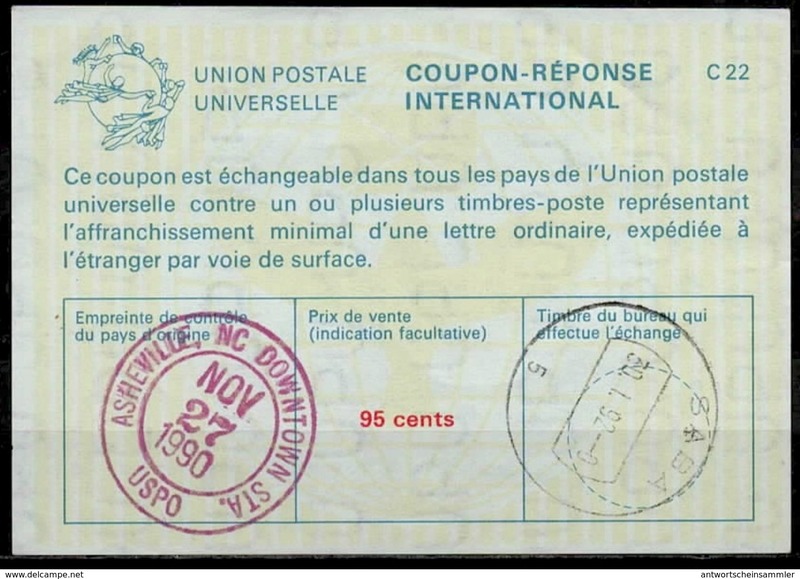 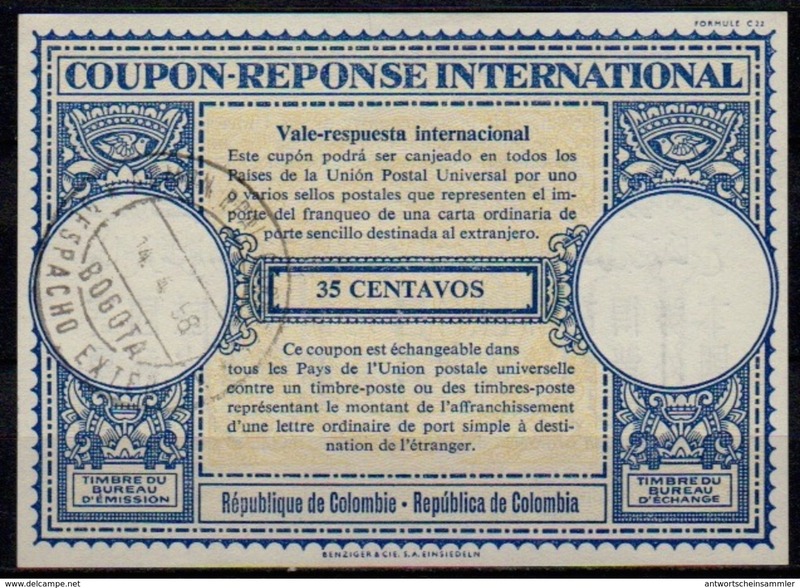 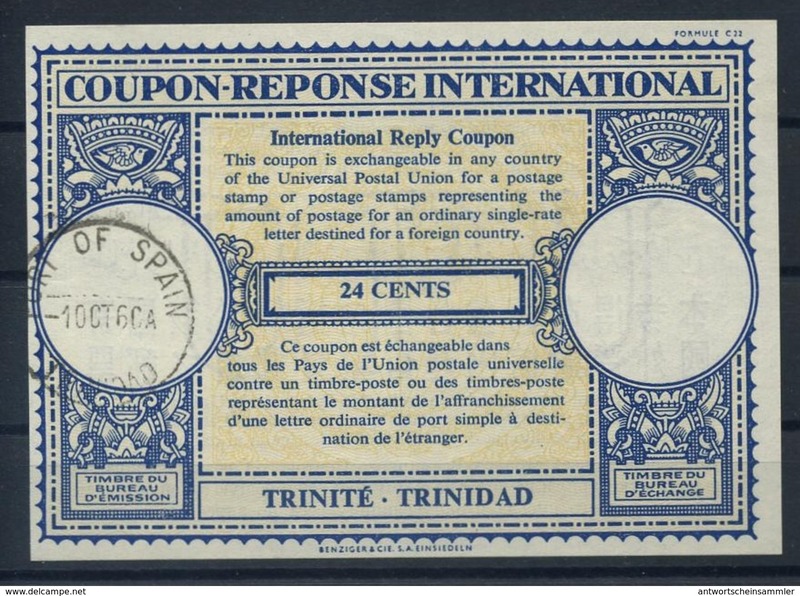 Neu BARBADOS La22A 45 CENTS International Reply Coupon Reponse Antwortschein IAS IRC o G.P.O. 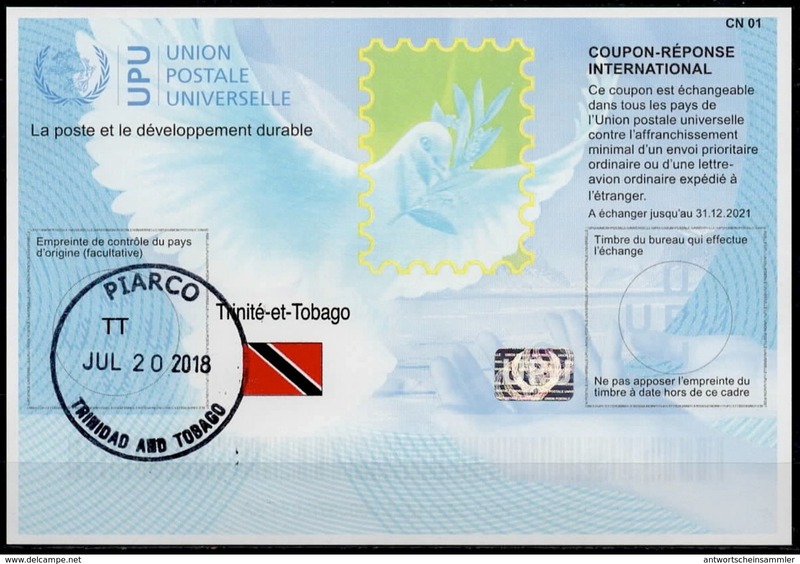 BARBADOS 2.12.75 FD! 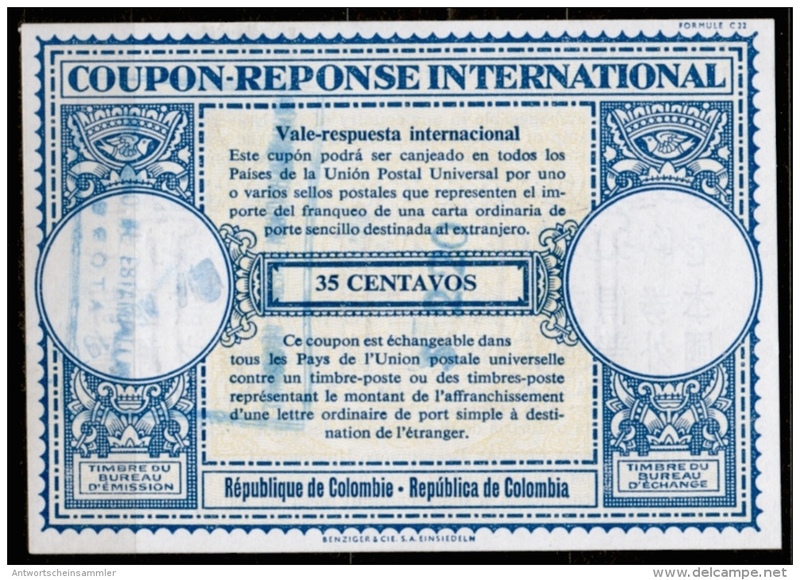 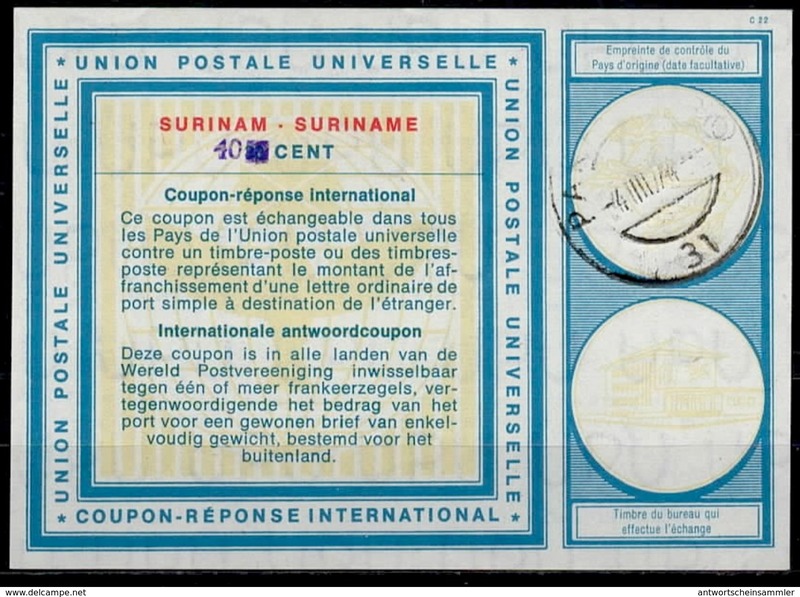 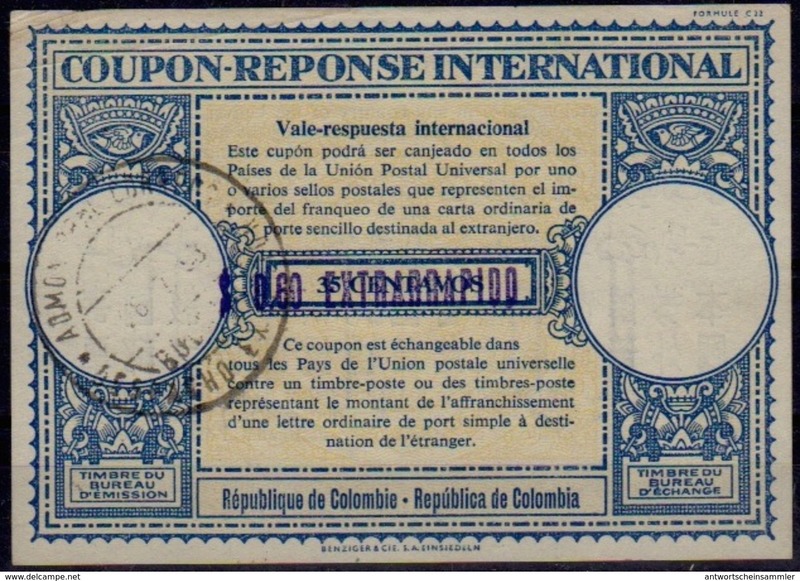 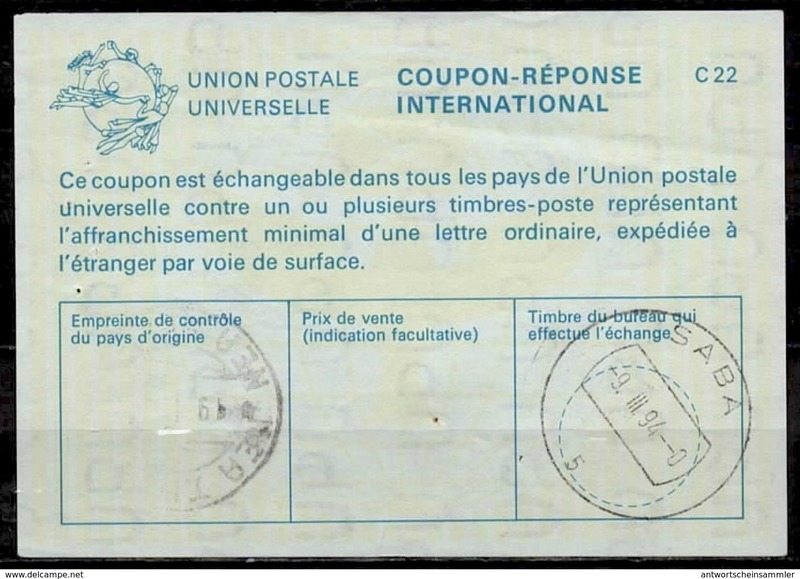 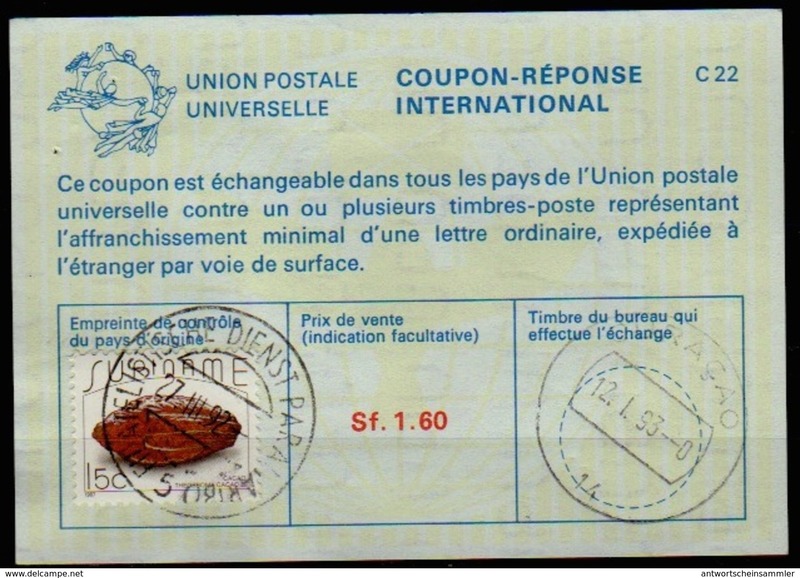 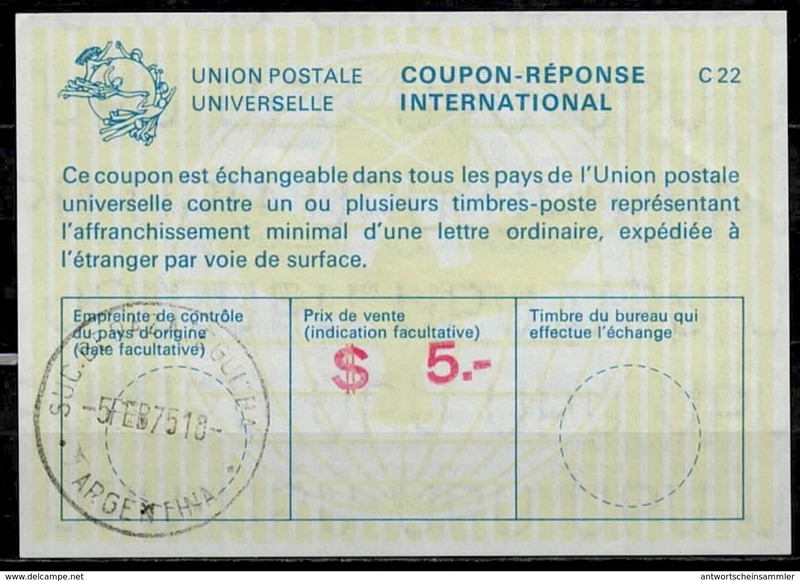 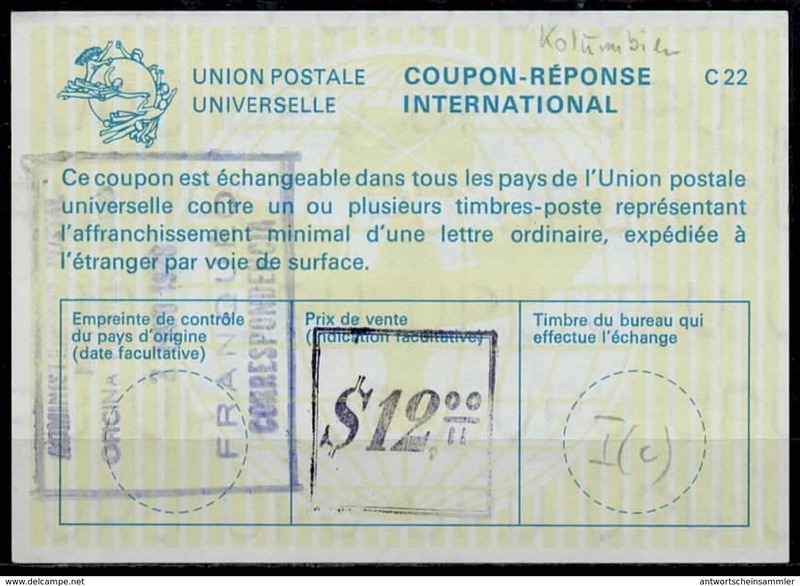 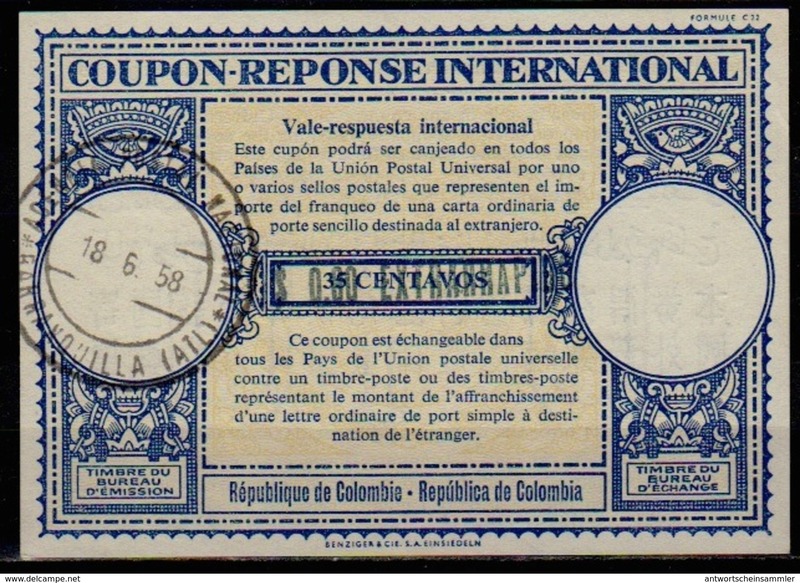 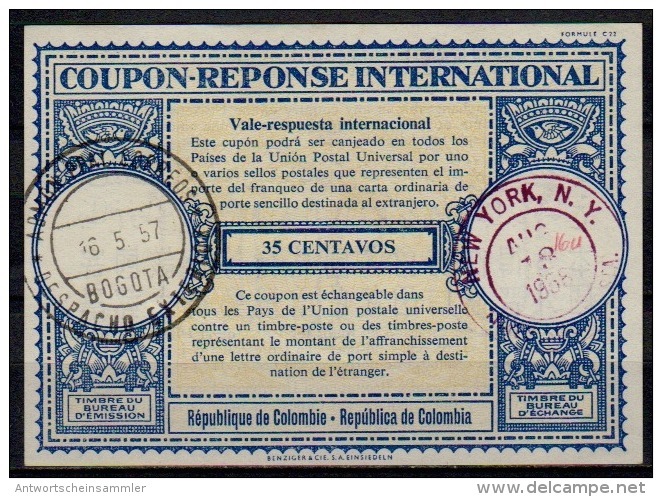 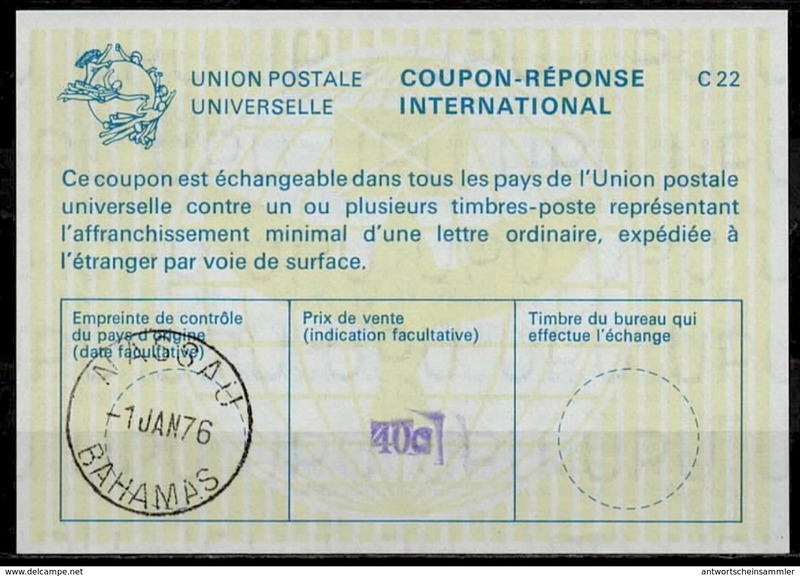 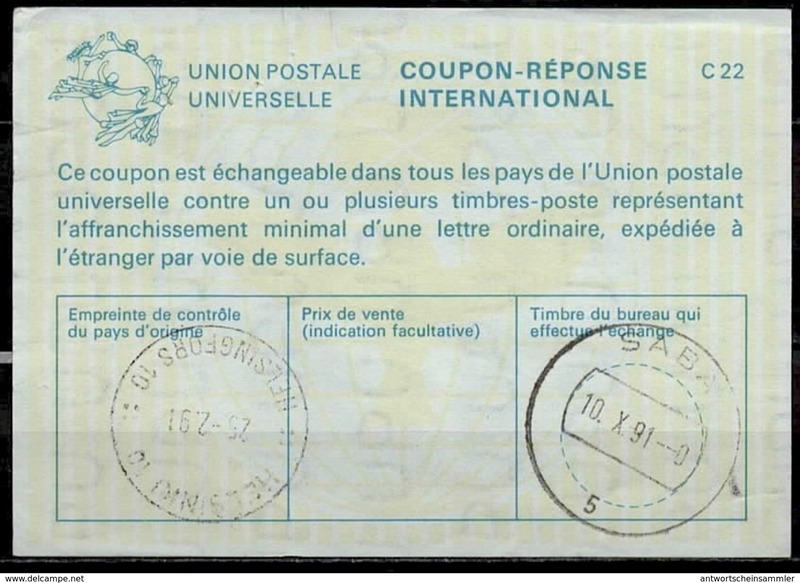 Neu BAHAMAS type XXI 22 CENTS International Reply Coupon Reponse Antwortschein IAS IRC o NASSAU 10.01.73 FD! 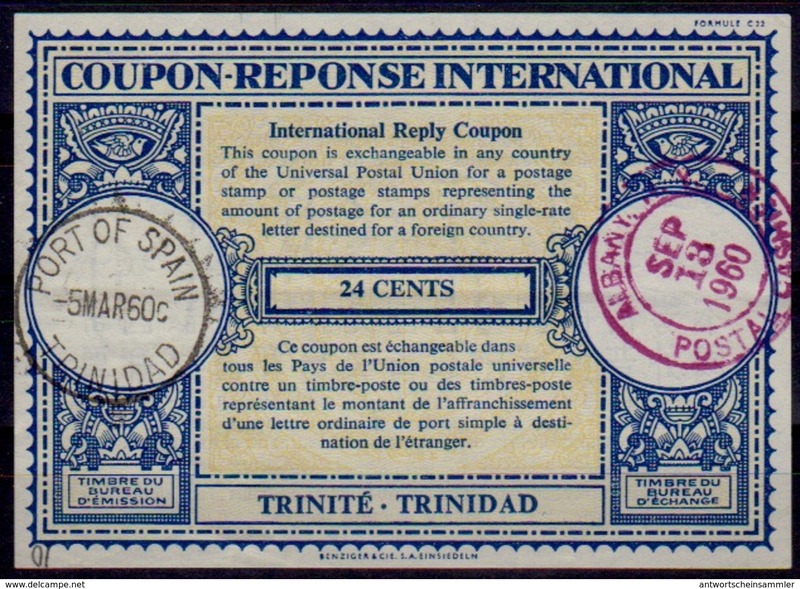 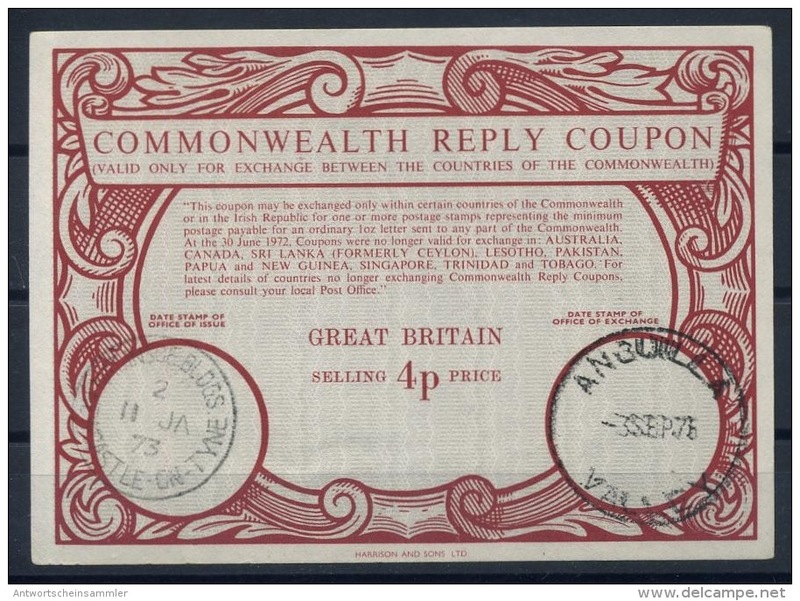 Neu BARBADOS type XXI 45 CENTS International Reply Coupon Reponse Antwortschein IAS IRC o G.P.O. 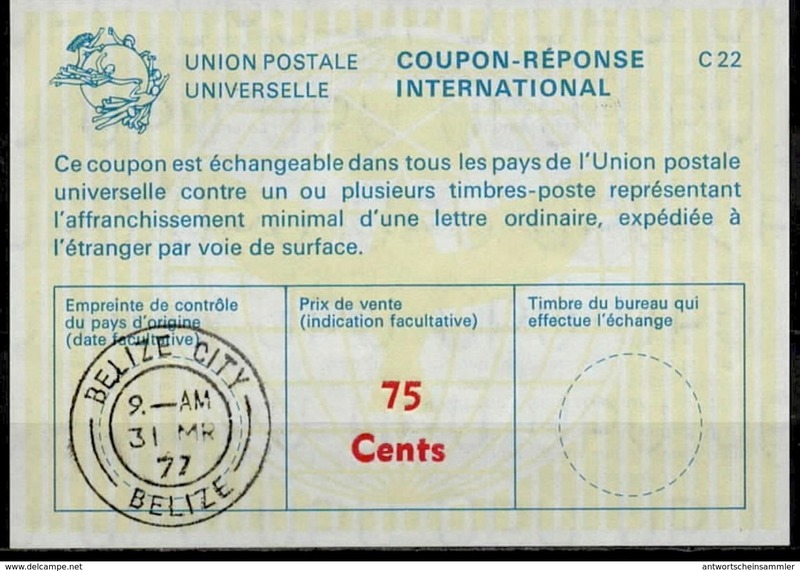 BARBADOS 31.12.74 LD! 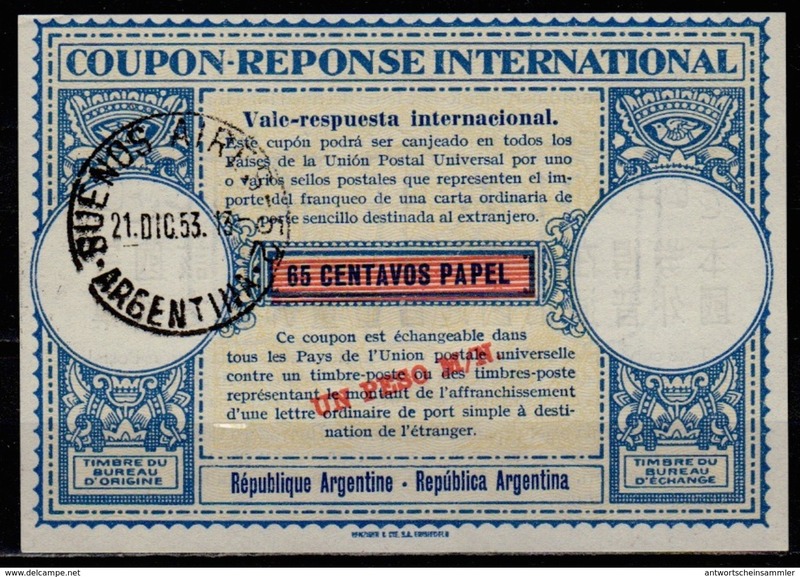 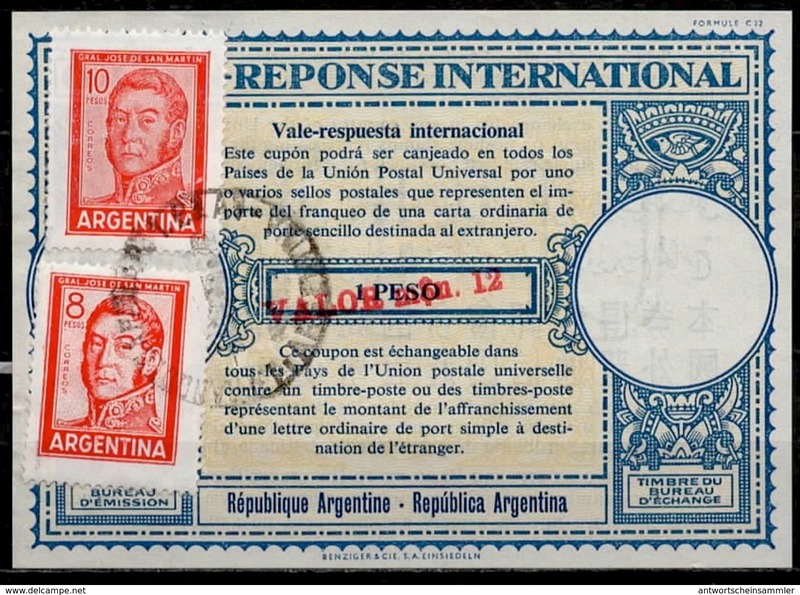 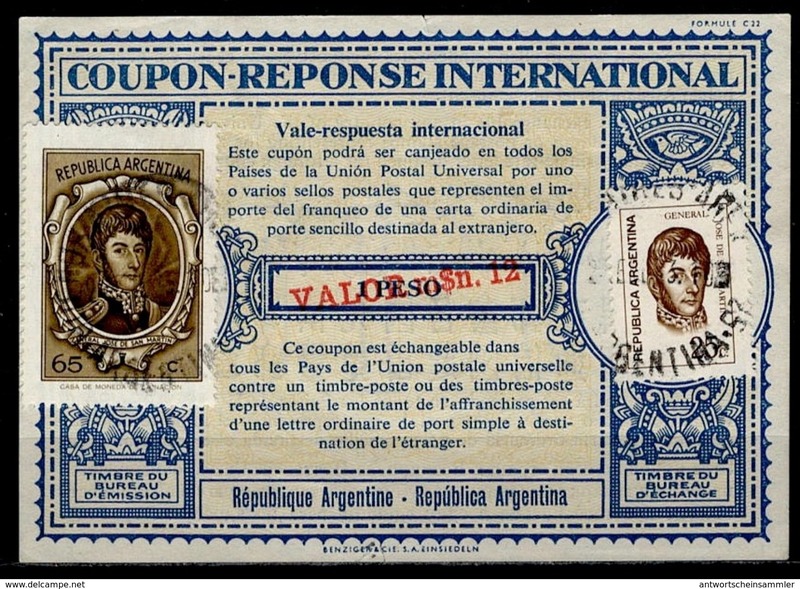 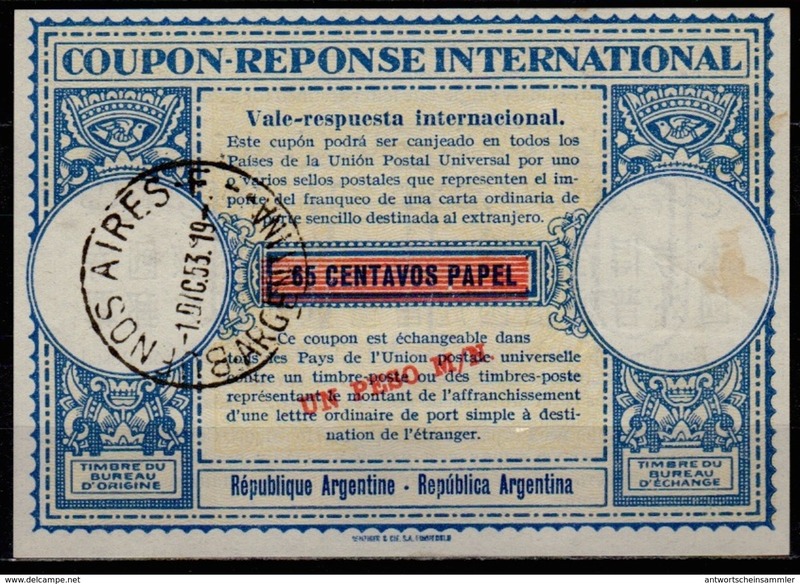 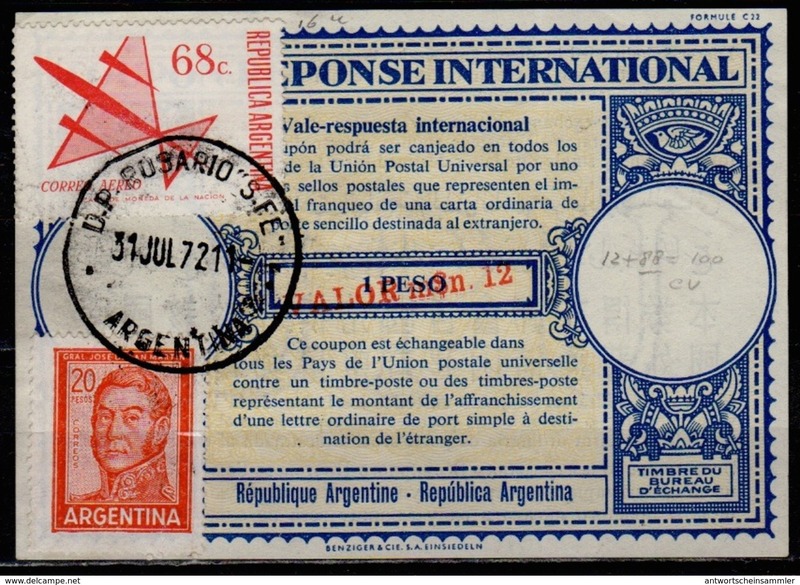 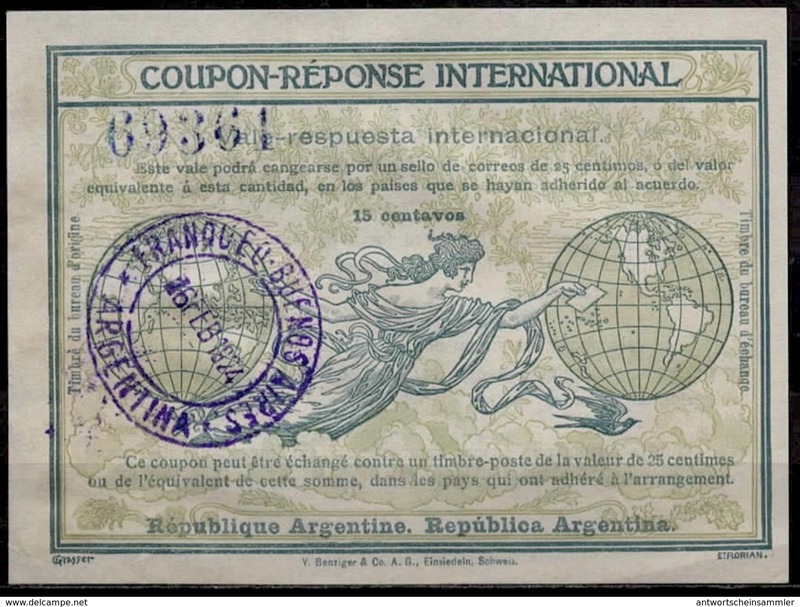 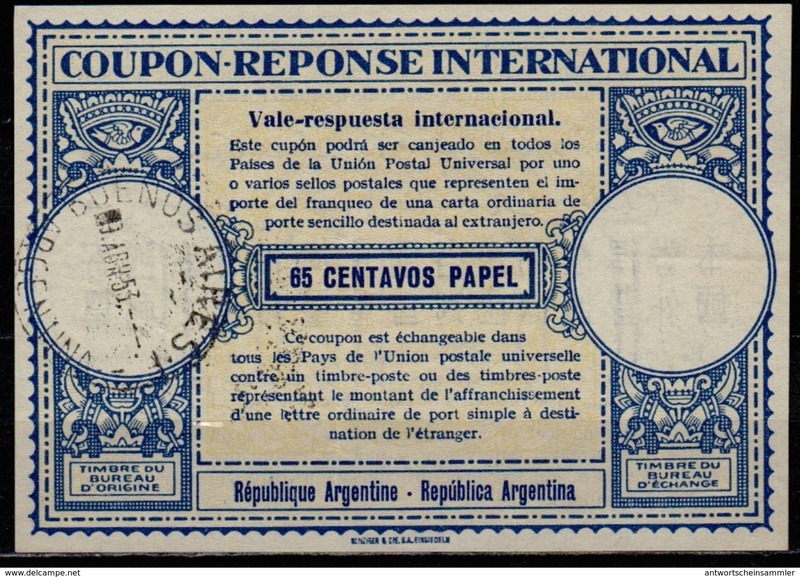 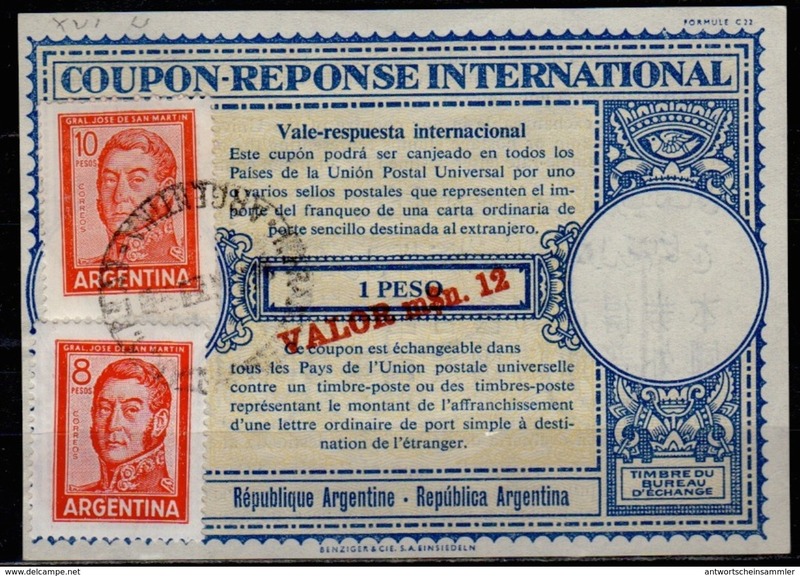 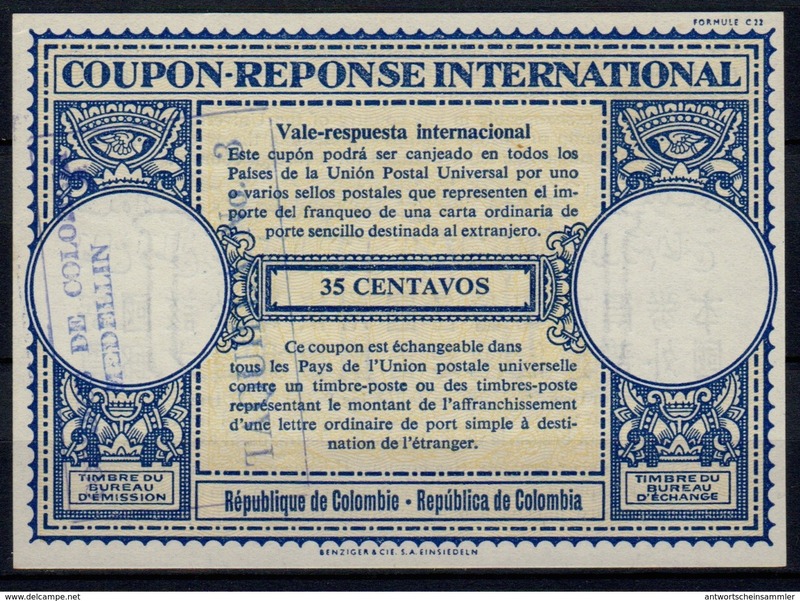 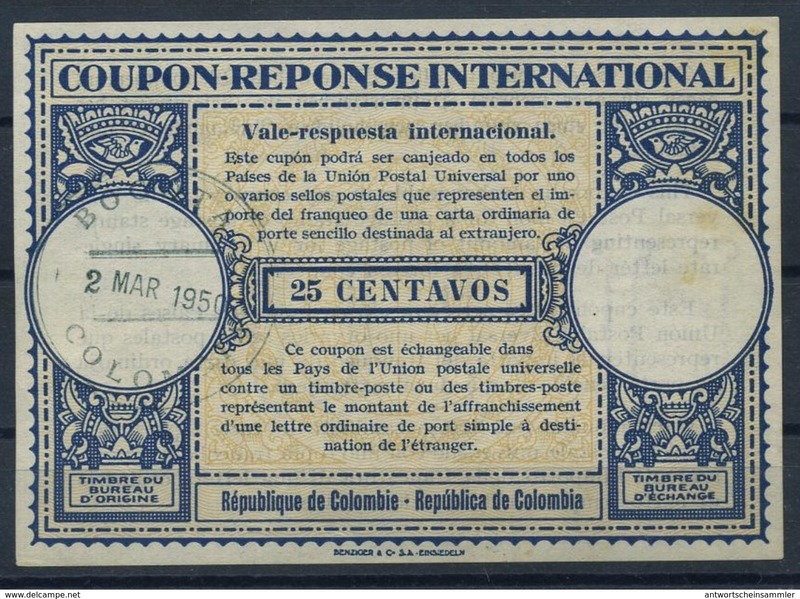 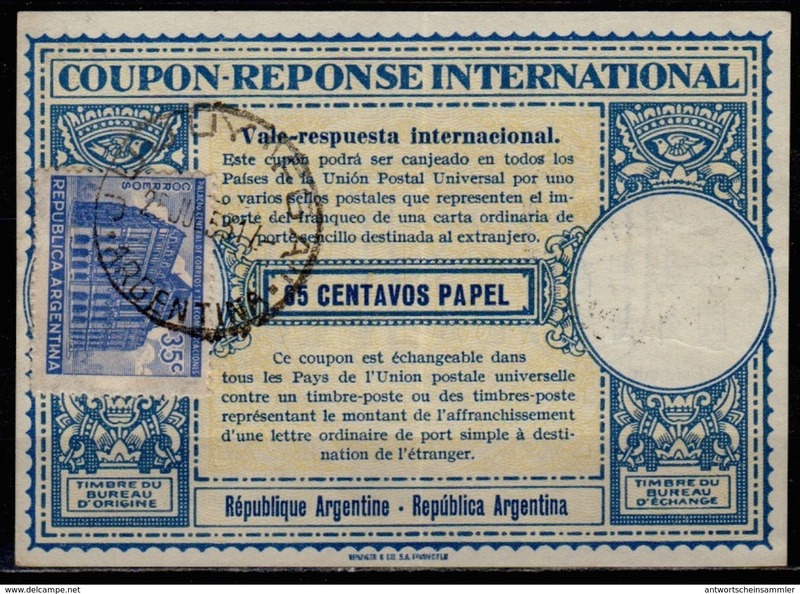 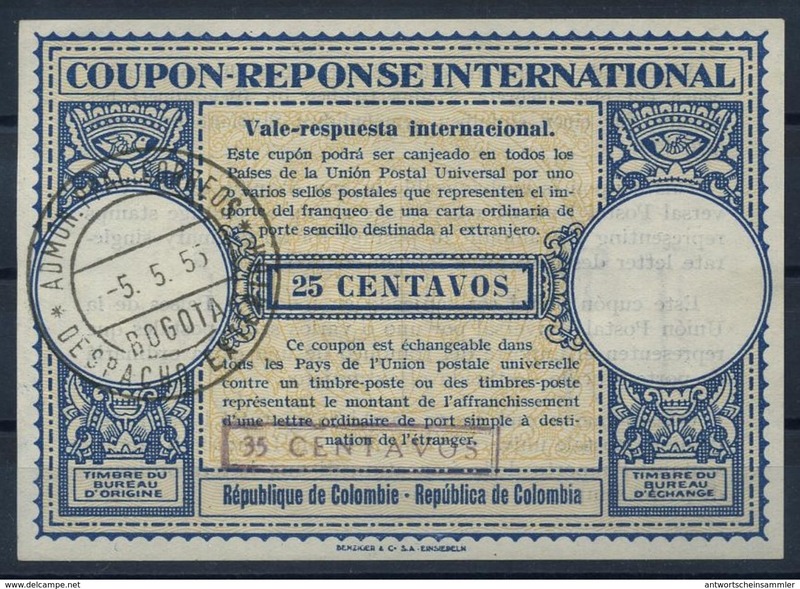 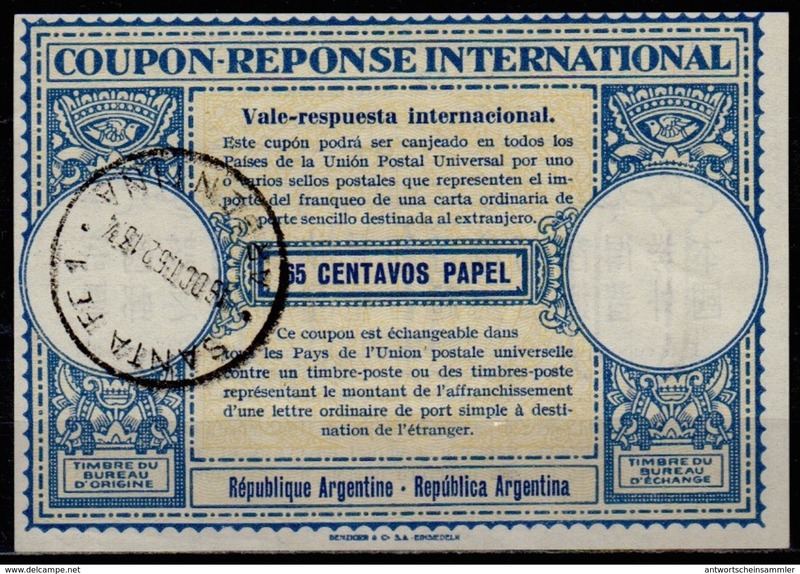 Neu ARGENTINE / ARGENTINA 1973 London type XVIu Reply Coupon Reponse surcharged m$n. 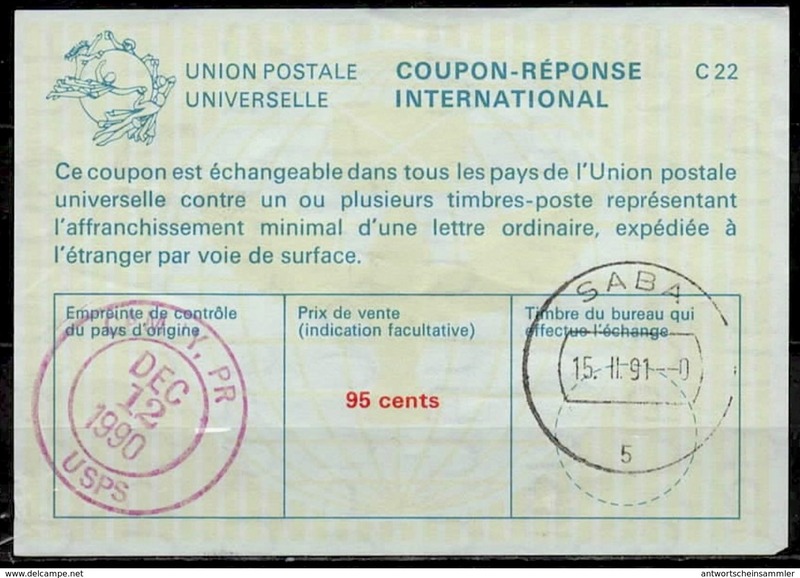 12 / 1 Peso + 88 Pesos 2 stamps on rev. 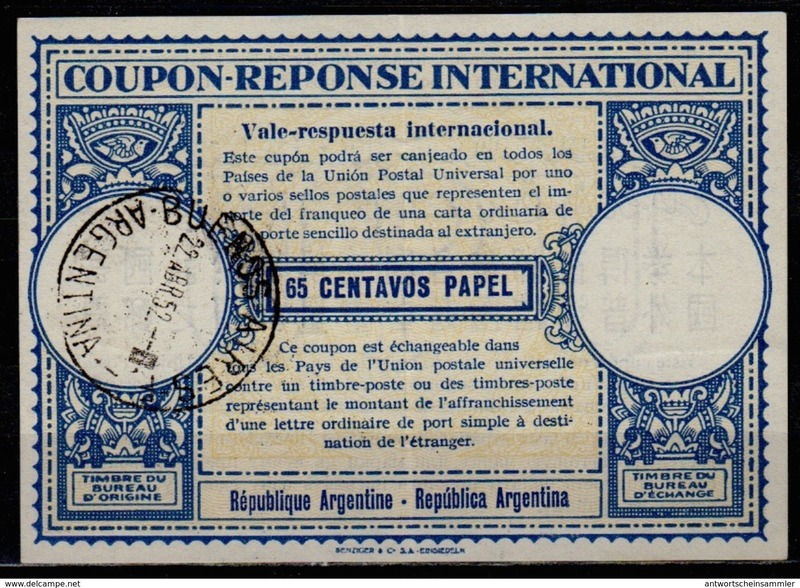 Neu ARGENTINA, London type XVa UN PESO / 65 Centavos Internat. 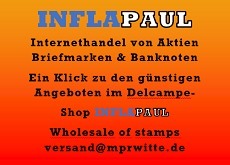 Reply Coupon Reponse Respuesta Antwortschein IRC IAS o B.A.